What I love about today's showcased project is the handle cover. Not only does it keep both of the handles together, it also makes holding the bag easier - no more straps digging into your hands. 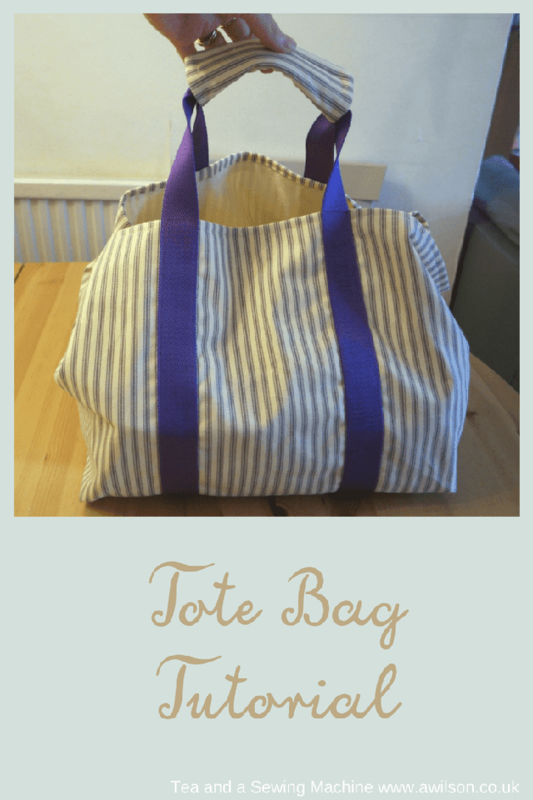 Anna, from Tea and a Sewing Machine, shows how to make a tote bag, complete with handle cover. The webbing straps go right underneath the bag, supporting the bag and taking the strain. What would you use this bag for - grocery bag, book bag, tote bag?? ?